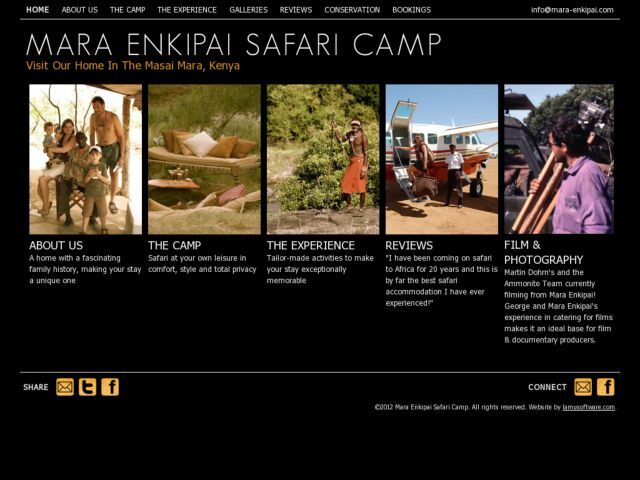 Mara Enkipai Safari Camp [HTML_REMOVED] House is the only lodge inside the Maasa Mara itself. Made using Django 1.1, sorl.thumbnail and a few homemade modules. jQuery as well.